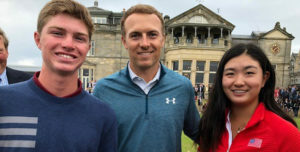 AJGA members Rose Zhang of Irvine, California, and Jackson Rivera of Rancho Santa Fe, California, are representing the United States at the biennial The Junior Open Championship on the Eden Course at St. Andrews in Scotland July 16-18. Zhang and Rivera are joined by 20 other AJGA members who are competing for their home countries. Past winners include AJGA alumni Jordan Cox (2004), Patrick Reed (2006) and Moriya Jutanugarn (2008). 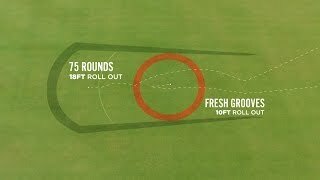 Since 1994, the Junior Open has brought together one boy and one girl from national golf organizations affiliated with The R&A under the age of 16 to compete in a 54-hole stroke-play event. After the first 36 holes, the players with the 80 best gross scores and ties will play the final round. Players will be grouped by world region and receive handicap prizes based on their region. Traditionally, participants play in the Junior Open every two years in the same week as The Open and attend the event afterwards.